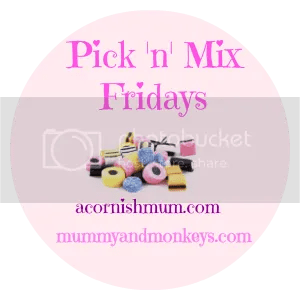 Hi and welcome to our third Pick ‘n’ Mix Fridays. A brand new blog link up with me and the lovely Stevie over at A Cornish Mum. We welcome you to link your posts on any topic, the more variety the better. My favourite post from last week is 10 Ways To Turn A Bad Day Around by the lovely Life Unexpected. Make sure you have a read. "Why I hate non competitive Sports Day!" Thankyou for hosting, I’llbe back at nap time to share some linky love!